Thrive Architect & Thrive Leads are the absolute best WordPress plugins for creating websites, landing pages, and improving conversion rates. I use them in all of my projects. 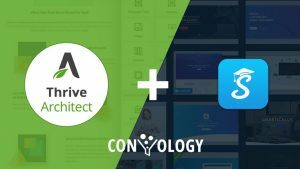 Similar to my guide on how to integrate Thrive Leads with Gravity Forms, I've created this guide on how to integrate the power of Thrive Architect with WPForms so that you can harness the power of Thrive with the convenience and simplicity of one of the best form processors for WordPress. Create a form in WPForms using whatever settings you desire. I recommend you redirect to a thank you page and pre-fill your placeholder texts. Preview the form. Right click anywhere on the form and click "inspect". Find the beginning of the form HTML (as pictured) and right click > Copy > Copy element. 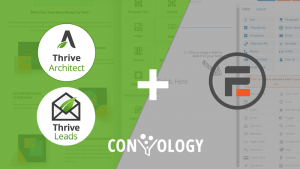 Create a Thrive Leads form or use a lead generation element in Thrive Architect. Click on the element to bring up the element options. At the top of the options click "Connect Form to Service" and choose "Switch to HTML Integration". Paste in the HTML you copied from the WPForms preview. Locate the action="" variate, and remove everything between the two quotation marks. This will fix the form validation errors. If you leave this, your form will either ignore form validation (required fields) or incorrectly redirect. Click continue. Tweak the layout options of the Thrive Leads form or Thrive Architect Lead Generation element. You may want to adjust font size and margin as shown in the video above. That's it! Your WPForms form is now being filled in through Thrive Leads or a Thrive Architect element. Run a test to make sure it works, and you're all set. I recommend you avoid using the honeypot because it will create an extra field that will cause you too many complications to remove. I'm working on a method for utilizing anti-spam measures will still being able to connect Thrive to WPForms. If you have any questions, please don't hesitate to leave a comment. Good luck, and happy marketing! Copyright 2017 - 2019 - Doug Lundberg. 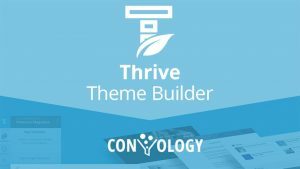 This website is not affiliated with or endorsed by Thrive Themes or whitesquare GmbH. All trademarks, logos, and intellectual property are copyright their respective owners.